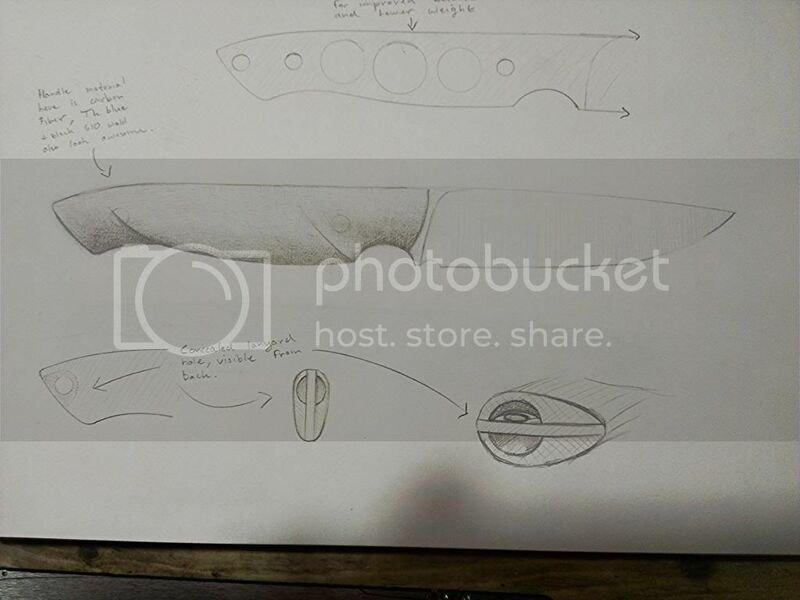 I snapped a few pictures of what I hand going on in the shop, and it got me thinking. 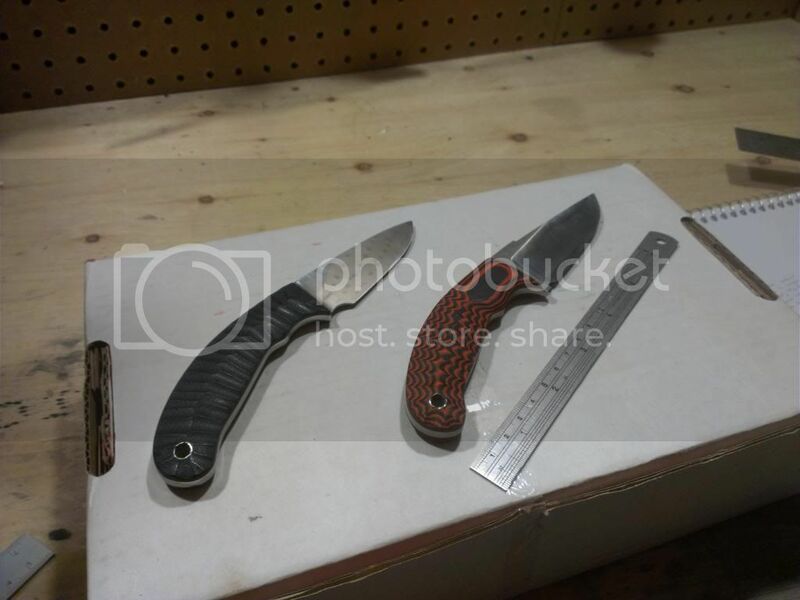 It might be a cool idea to have a thread for people to post photos of whats in progress in their shop, and talk a little bit about what they're doing. 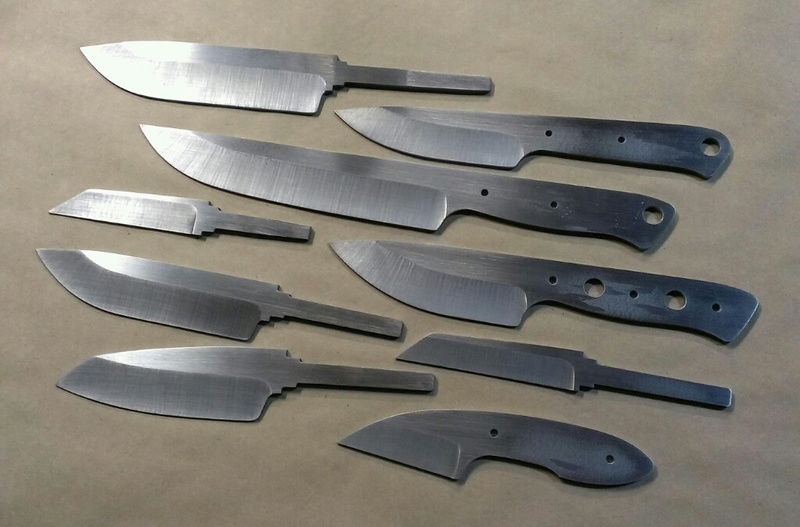 If people from all skill levels post we might end up with an awesome source of info, techniques and inspiration for anyone who is interested in knife making. I'm always amazed when good info or advice comes from an unexpected source and I'm sure we could all learn something here. I apologize for not having more in progress photos, next time I post, I'll try to have a little more in the way of a step by step with what i"m doing. 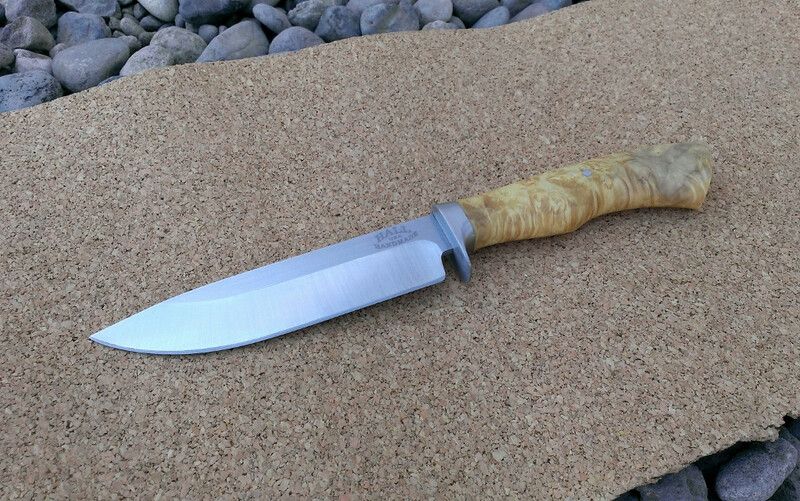 A four inch hunter that will be full flat ground on both sides and made from cpm154, it is going to have carbon fiber scales and pins, with a hidden lanyard hole. 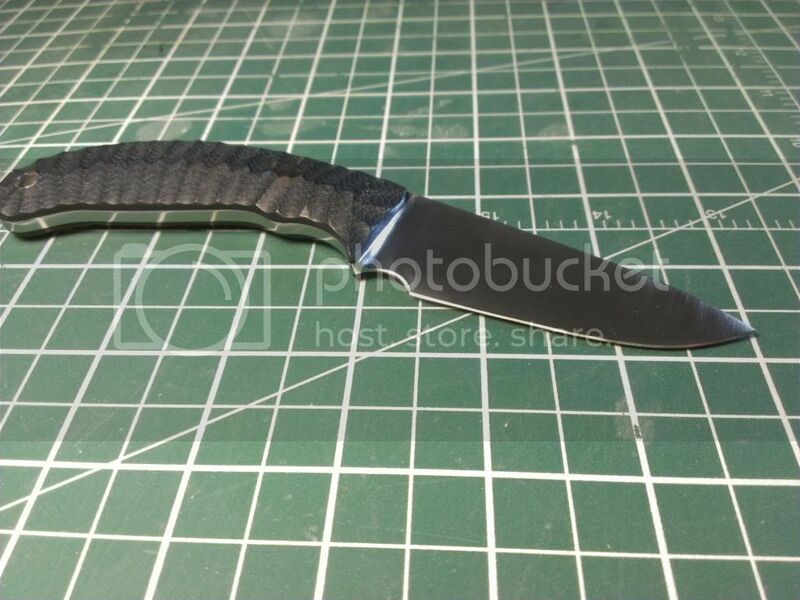 Also in the works is a Small edc type fixed blade that will have orange and black scalloped scales with either a carbon fiber or a damascus bolster. This one will also be cpm 154. 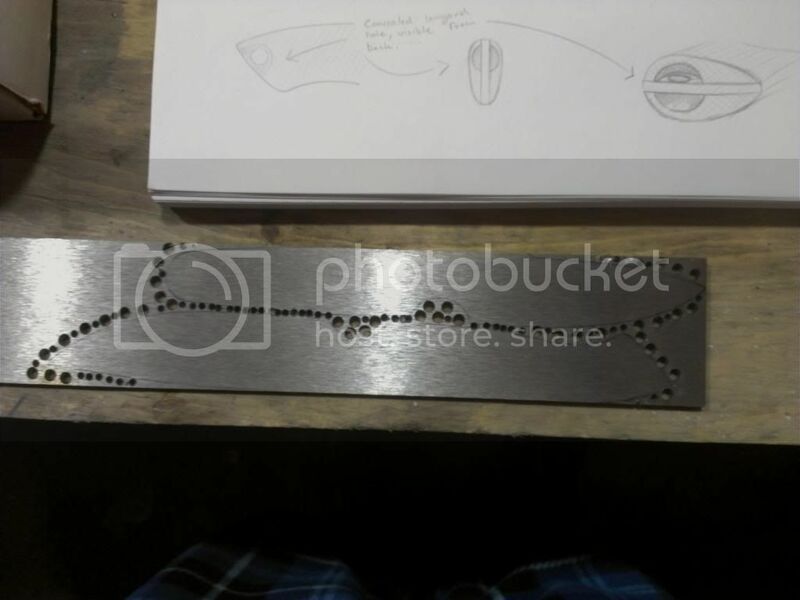 Here is a Photo of these two patterns in the early stages of being cut out. 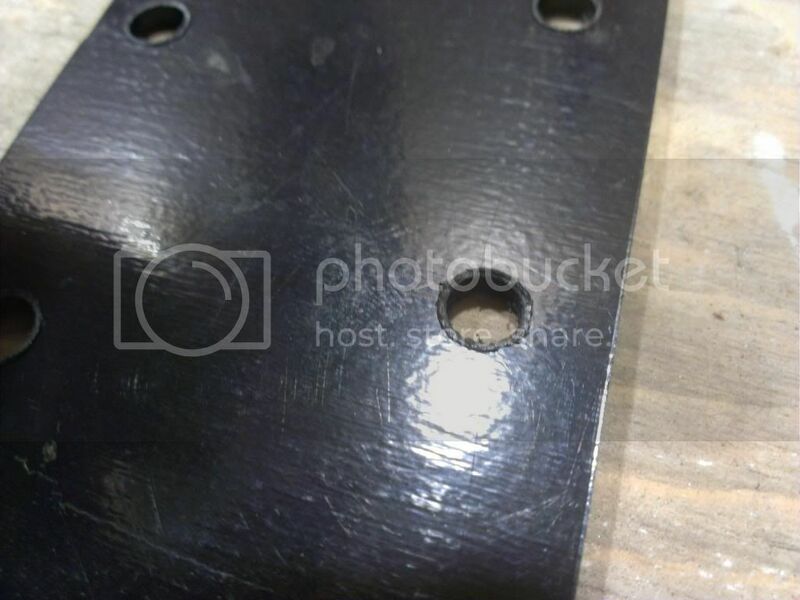 Because at this time I do not have access to a band saw, the easiest way for me to deal deal with these alloys is to remove as much material as possible with a drill prior to actually cutting them out, either with a grinder or a jigsaw. These two knives are nearly finished in this photo, the blue one has since been completed but the orange one still needs finish sanding. Here is a closeup of the blue one now that it is complete, this one has a large choil that has been sharpened to prevent it getting hung up. 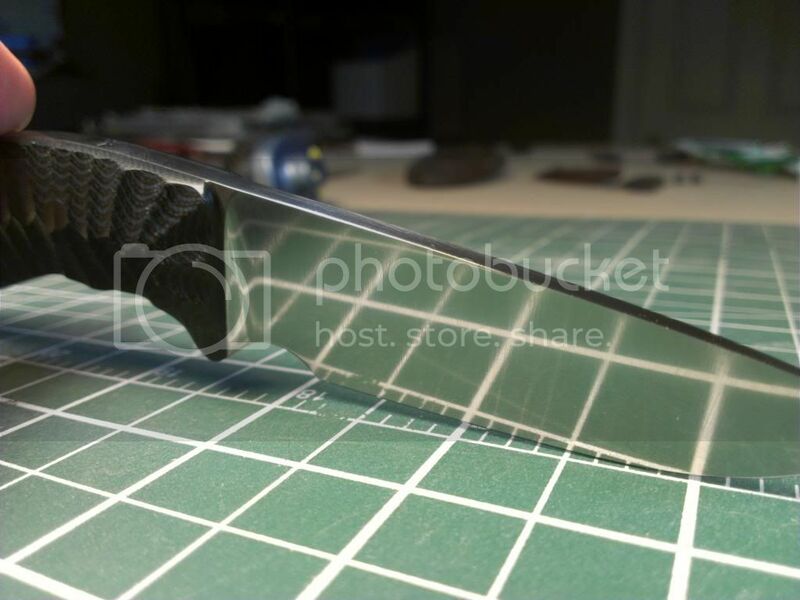 Ten_Mile_Knives, Hd441, mav17 and 3 others like this. Trael1 and KRAFT like this. 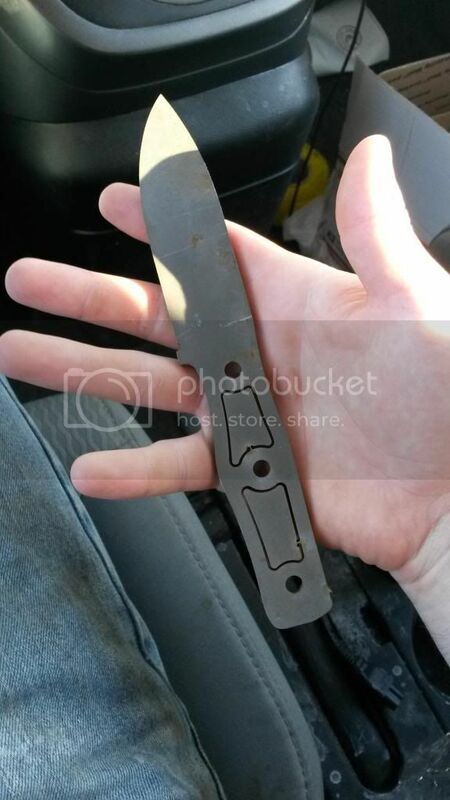 Little scary, but would make a nice wireman's knife. 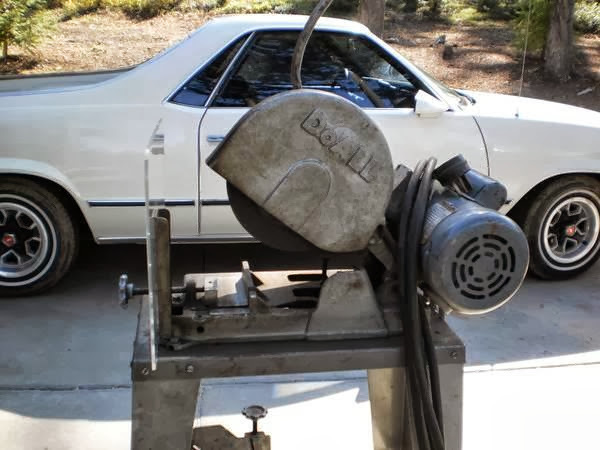 Just got this DoAll 10" cutoff saw yesterday, from the local Craigslist. Still had to drive 4 hours round trip, and pay $180 for it. It's 3hp 220V single phase 3450 rpm. I got it home to find out that it has a great power cord that runs all the way to my welder outlet. Also, I found out someone had done some shoddy repairs to it. 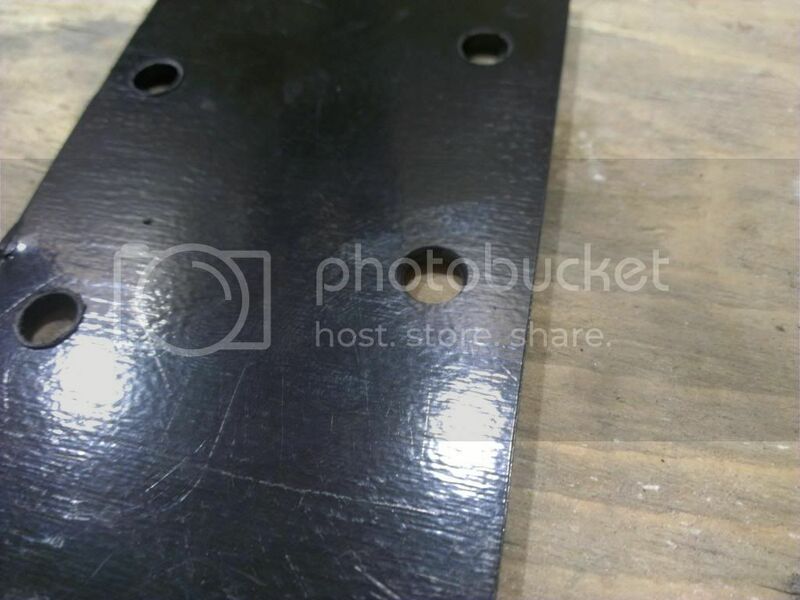 This included a weld job of the blade backing washer that resulted in too much blade runout. After truing that on the lathe, and re-wiring the motor so that it throws sparks away from, not toward the operator, and removing the stupid plexi guard that had been installed because of the former spark problem, it runs great. 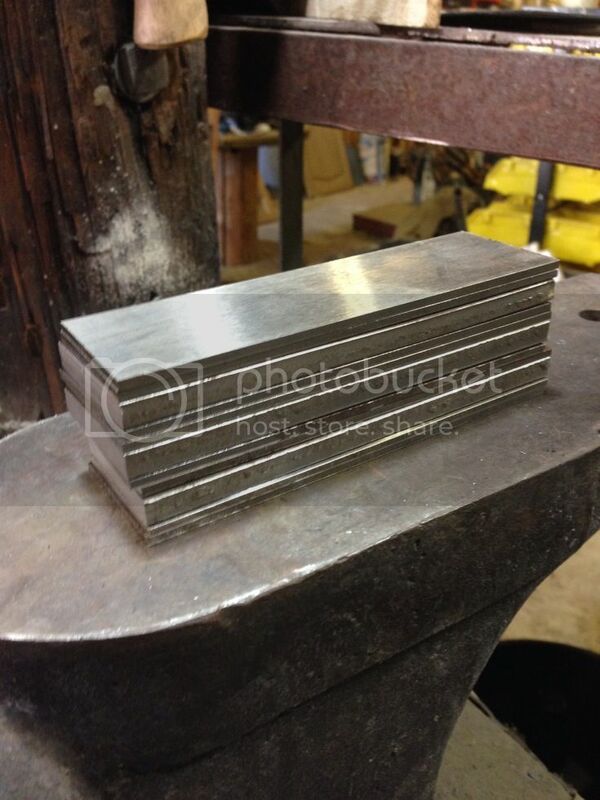 Should be great for quickly chopping billets. Makes my old 14" Makita chopsaw (burnt up now) look like a joke, and much quieter too. 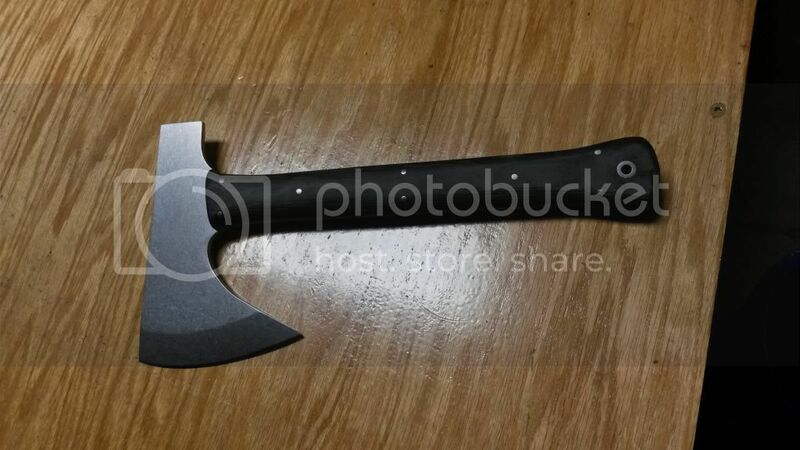 Here's one of the seller's pics for now. I've had my new shop since late july and I'm still setting things up and building non knife things. Its really frustrating but hopefully I'll have everything done in a couple weeks. 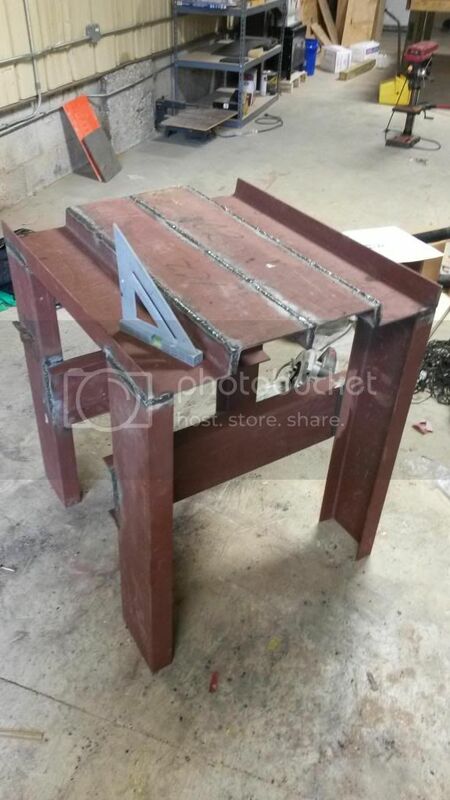 I was given some scrap structural steel beams and decided to make a heavy duty table out of it for a KMG. That took my a day and a half to complete and about 30 welding sticks. I just covered the top in wood and mounted my KMG yesterday. This grinderwill be running wet. Ill post a picture of the finished work when I'm done. 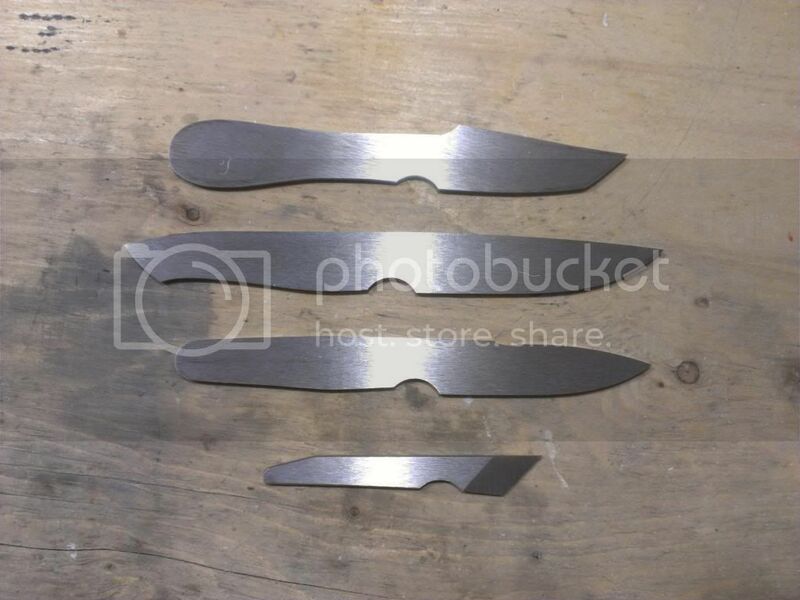 As for actual knife things I'm still working on my first run of hawks and just got some new water jet EDC blanks in. Also purchased a vibratory tumbler and have been using the heck out of it. I love the finish it leaves and its a great way to painlessly remove decarb. Well, I'm sorry but most of you know I don't yet do pictures. Still I love to be involved with other makers. I just received a tapping head. I haven't even got the box open yet, as well I have come up with a vey different model, for me that is, and I'm working several at the same time. That too is also very different for me . 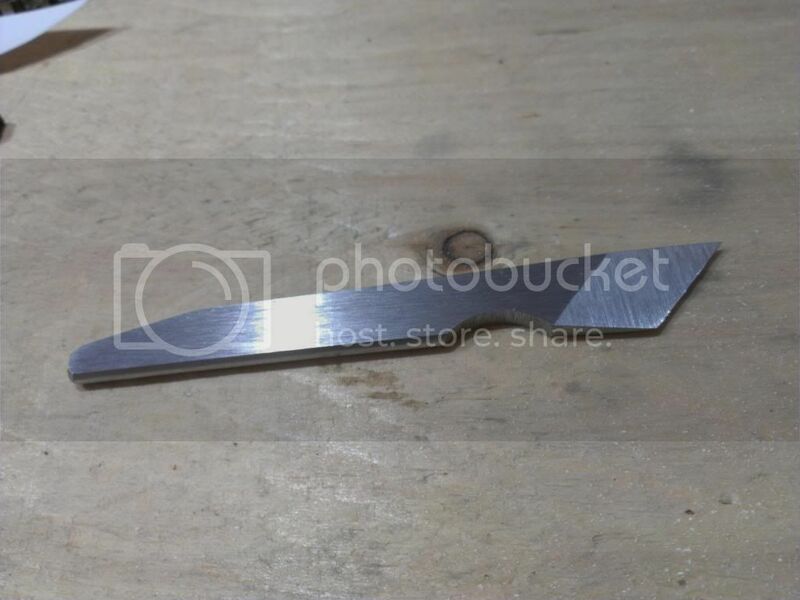 Salem for many years I used a converted Mikita skill saw set under a table all metal lined to cut blades as best I could before going to the belt grinder. The saw itself was all metal. It worked pretty well. 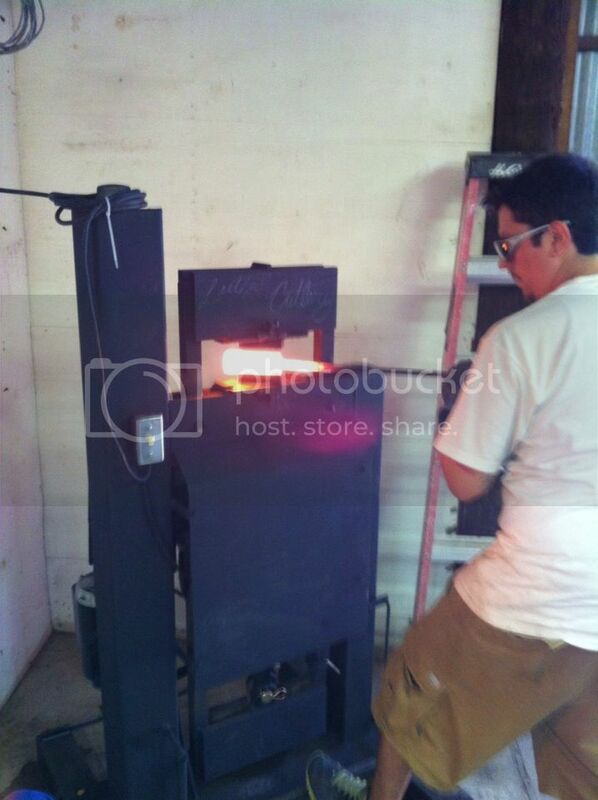 The grinder was a 2X72 so it could handle those "chopped" up pieces very well. Those shops are WAY too clean! Also spent some time making a sheath for the blue knife mentioned in my previous post. I like to use a de-burring tool to clean up my the holes in my sheaths after I drill them, it's super clean and super quick. 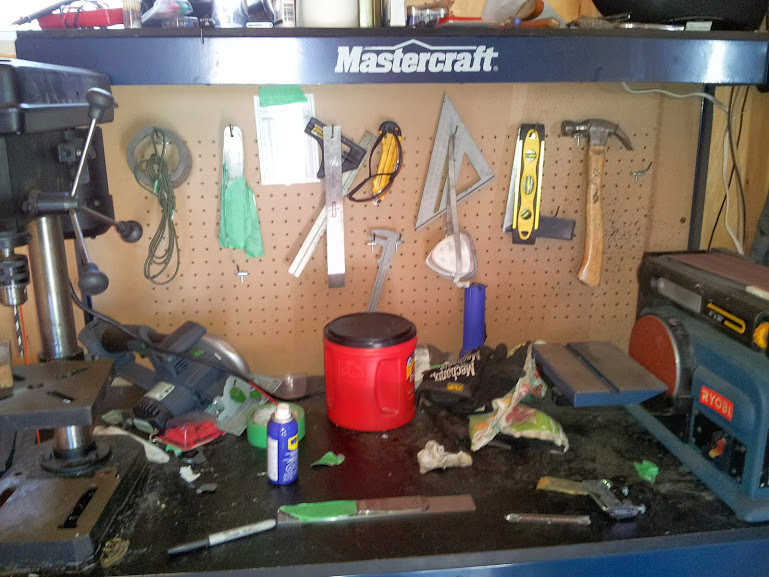 Bill, if I'd posted a pic of my shop this thread would have got grinding dust all over it... I need to civilize it again. Frank, I tried that too at one point. It sounds like you had better success than I did! 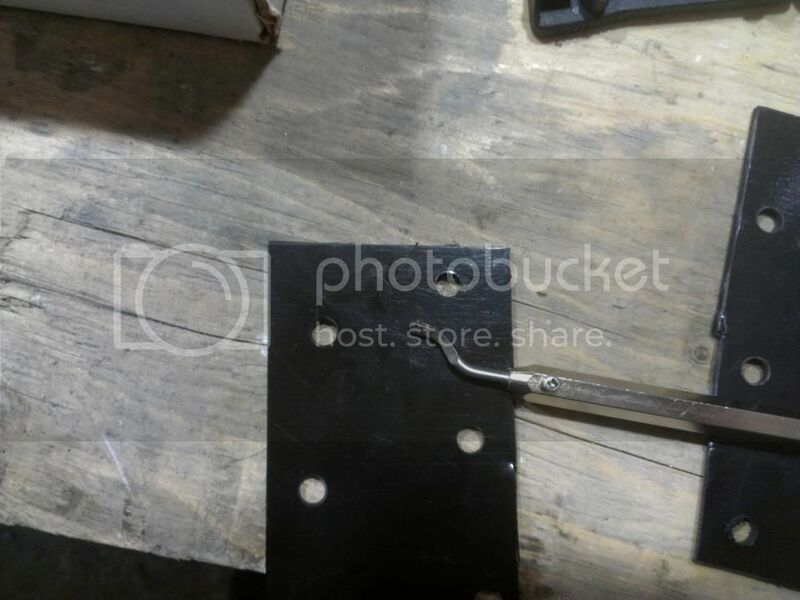 This chopsaw will just be for cutting billets, cutting handles for billets and off of billets, and general fabrication work. 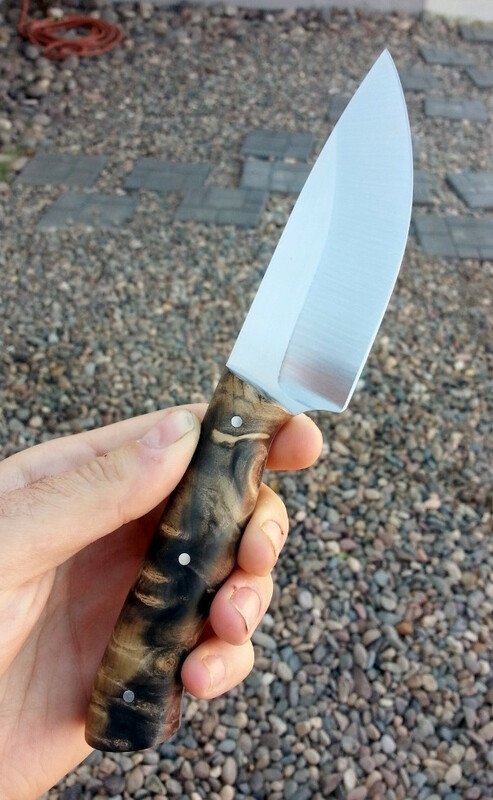 I finally finished a knife (pee wee football 4 days a week!). I promised to have this one finished for my son to take on our camping trip this weekend so had to pull a late night last night. 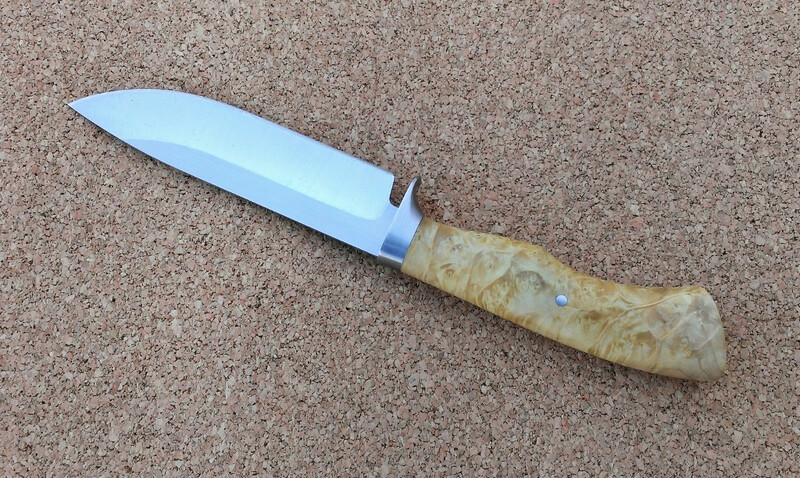 It's a Murray Carter neck knife pattern. The pin alignment is off (I think the top pin should be higher) and there is room for improvement in my pin peening. Feels good get to get it finished and sharpened though. Unfortunately I cut up some receipts that were laying around that I found out I wasn't supposed to cut up. Shame on you for cutting up those reciepts. The knife looks good though. 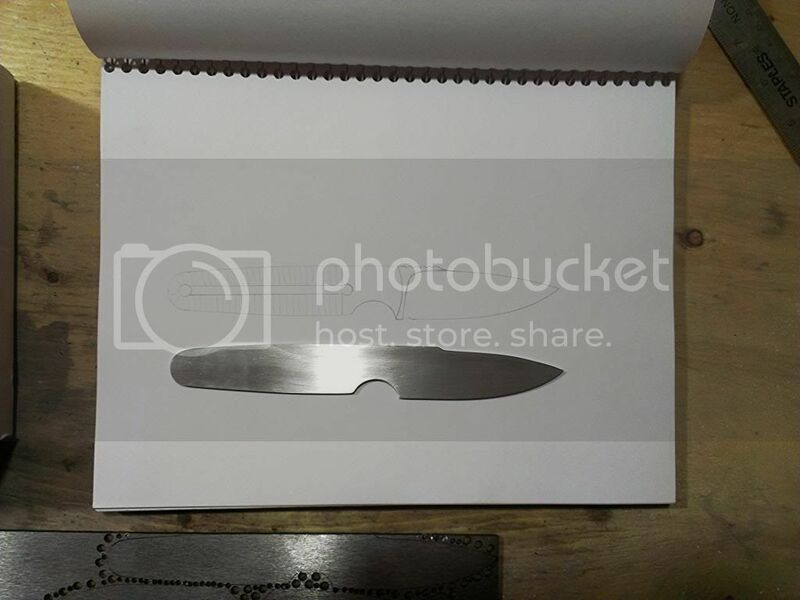 Bet it is real sharp too. 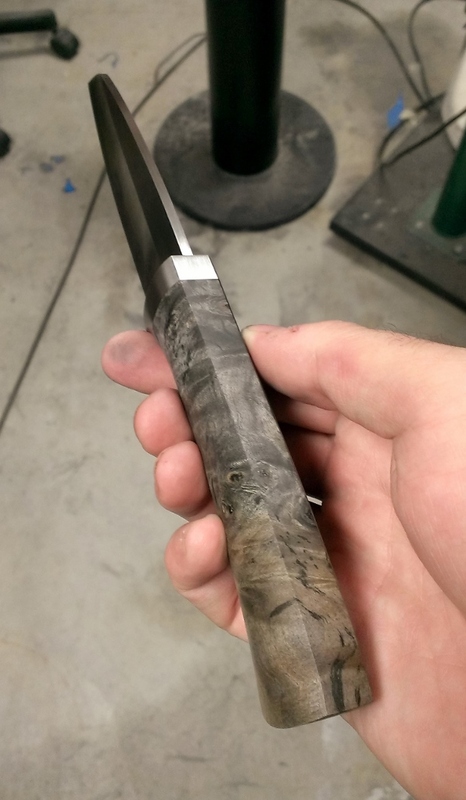 Gonna have my first go at W pattern damascus. Started it today. 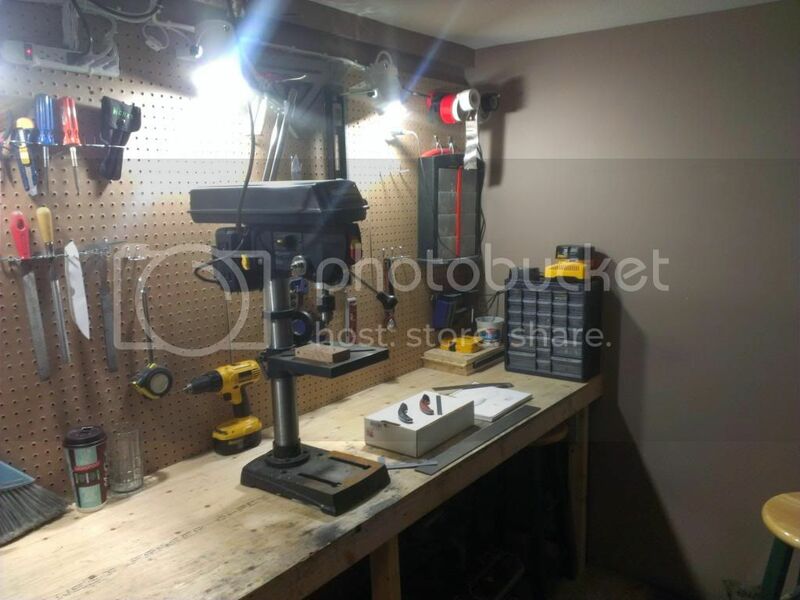 Here is the extent of my shop right now. The steel hanging on the wall covered in green tape are knives waiting for heat treat. 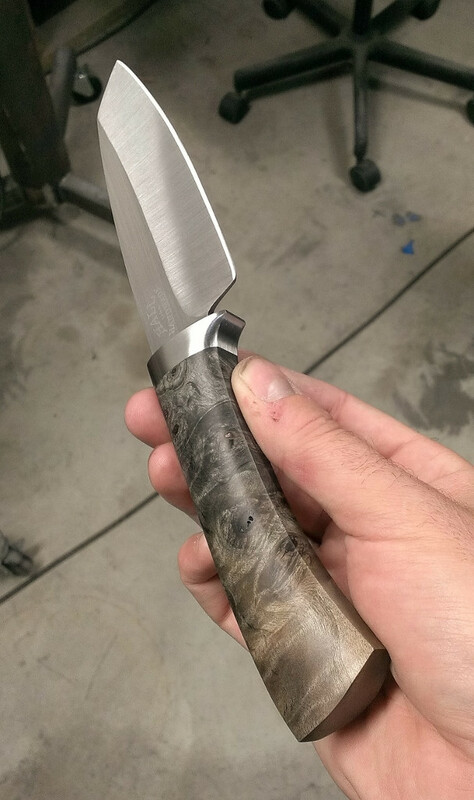 I recently started making knives. 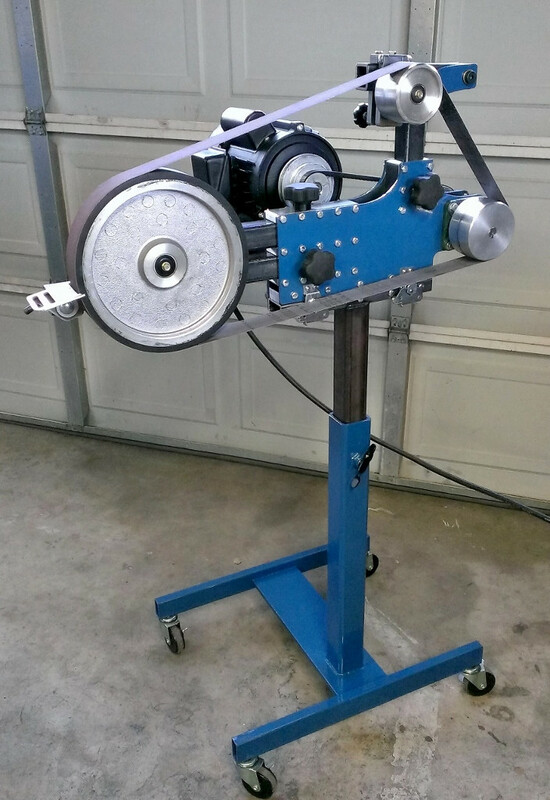 I ended up deciding to build my own tiltable 2x72 grinder due to cost, and because I have experience with machinery building. 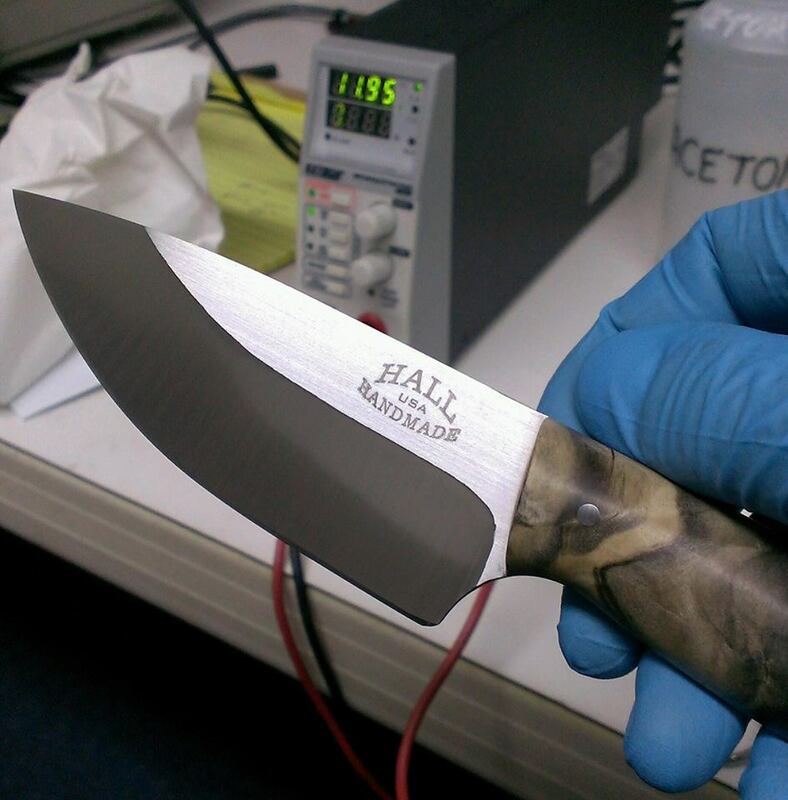 The first knife shown below was the first to get my maker's mark. I went to my old work and borrowed the benchtop power supply, worked quite nicely IMO. 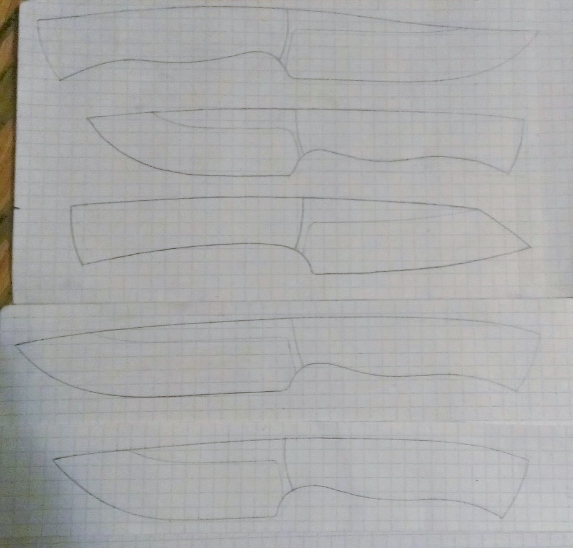 I'm trying to make every knife significantly different from the last, because I'm still learning, and I feel like I need to try each style and technique individually before I start trying to combine too many things. My next run will be all S35VN... interested to try stainless for the first time. mknife and O.L.C. like this.